Andy Murray has lost a five-set epic at the Australian Open. Murray had entered the packed Melbourne Arena to a huge ovation as Scottish Saltires and British Union flags were flown while one banner proclaimed: "There will only ever be one Andy Murray". The tribute video to Andy Murray that was showed in the big screens ft. Roger Federer, Rafael Nadal, Novak Djokovic and other top players from both #ATPTour and #WTATour. The in-form Bautista Agut had beaten world number one Novak Djokovic on his way to winning the Qatar Open at the start of the month and he broke again for 4-2 in the second as a hampered Murray began to struggle. 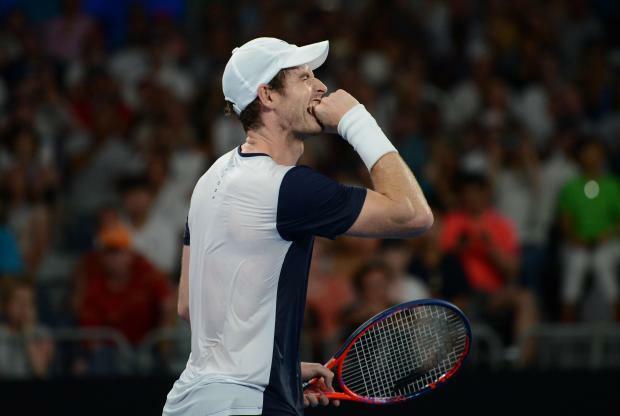 The fourth set went with serve and Murray again prevailed in a tie-break on the fourth of his five set points -- but not before being interrupted as he served to stay in the match at 5-6 by fireworks going off at the nearby Melbourne Cricket Ground.